Wow. There is a lot to talk about regarding the NFL and the Seahawks. I could take each topic as a separate post, but let’s just knock them all out right here, right now. First up, the negotiations between our quarterback and the front office are nowhere close to complete. There has been a back-and-forth among Seahawks fans from the moment Russell Wilson negotiations began. Some openly wondered if he would live up to his “team first, win first” image and give the team a less-than-elite deal so they could continue to surround him with championship talent. Others never expected that and were supportive of a wildly successful young quarterback getting paid top dollar after a sweetheart rookie deal for the team. Wonder no more. Danny O’Neil, of 710 ESPN, wrote a great article about the state of contract discussions between Wilson and the team. O’Neil is very well regarded within the halls of the VMAC, so you can assume he has pretty solid sources, at least on the team side of things. Wilson wants elite money. The Seahawks do not appear to think he is worth it. I wrote last week about this possibility. Some read that as pessimistic sensationalism. I see it as ruthless pragmatism. Have you seen how far Schneider can stretch $1.5M of cap space, let alone $10-12M? Seattle will not bow to Wilson’s demands, and Wilson has every right to expect top dollar. There is a real chance this will not get resolved before training camp, and I still think that is the best chance to avoid the franchise tag scenario. Wilson and the team want him focused on what is happening on the field. If it gets to camp without a deal, the next chance to get something done would be in the days before the franchise tag would need to be applied. The best hope of a compromise here probably comes with the Seahawks reducing the deal to three years with a player option as a fourth. Getting him to market sooner for a third contract could be the carrot that makes him comfortable taking less money. It would also probably make Seattle more comfortable raising their per-year number since it would be slightly less risky. Where Wilson could really get some leverage is if he chose to hold out. Nobody has suggested this as a possibility. His agent may push for that because the Seahawks have no viable alternative at the position. It would damage Wilson’s image to some degree, but it would put the team over the barrel a bit as well. It is a fascinating tango unfolding before our eyes. Necessity is the mother of invention. Both sides will need to be their most creative selves to bridge this gap. More and more information continues to surface about Frank Clark. 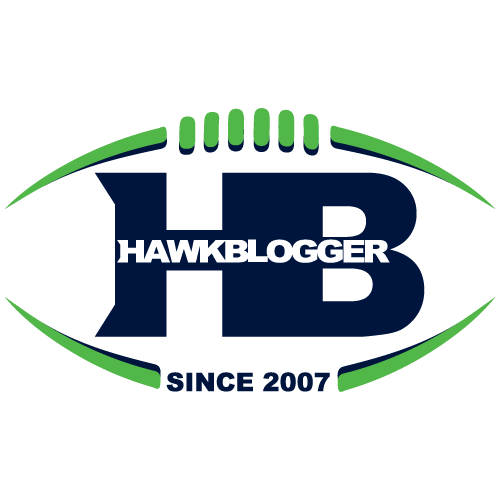 Tom Pelissero, who is also known to have tight ties to the Seahawks front office, published another revealing article today that shed more light on what kind of investigation the Seahawks conducted. Assume for a second that we continue to learn more about why the Seahawks decision to draft Clark was reasonable. Now think about what kind of debt Clark would owe Schneider and Carroll for sticking their necks out on his behalf. This is a player who everyone agreed had talent, and has not been able to play football for months after getting dismissed from his college team. Now let him enter a team where his coach and GM have put their reputations on the line for him. Clark should be his best self, whatever that is. I am looking forward now to seeing what kind of impact he can make. Reports came out that Bennett wanted to be traded and he denied that. More reports came out that he wants to be traded. He denied it again. The more interesting aspect of this is that the Seahawks were apparently trying to trade for Bennett’s brother to play tight end in Seattle. They would up getting Jimmy Graham instead. That sheds more light onto why Bennett has been so vocally opposed to Graham, and could also be contributing to his possible dissatisfaction. I can’t see Bennett going anywhere. He is so much more valuable to Seattle than any other team would compensate them for. It does make the Clark pick a little more intriguing. Much of the talk was Clark was a hedge against Bruce Irvin leaving. Maybe it was more of a hedge against Bennett exiting before his contract expires. Tom Brady cheated. Spin it any which way, but he intentionally tried to gain an advantage that he knew was against the rules. It does not matter that the Patriots did not need that in order to beat the Colts. It does not matter that they beat the Seahawks fair and square. What matters was his intent to break the rules so he had a better chance of winning, and that he did it for a conference championship. Every fan and player and coach deserves better. Should your team claw and scratch to get to that point, you should know you were beaten within the rules. He should be suspended for at least 10 games, and I think a full season would be far more appropriate.